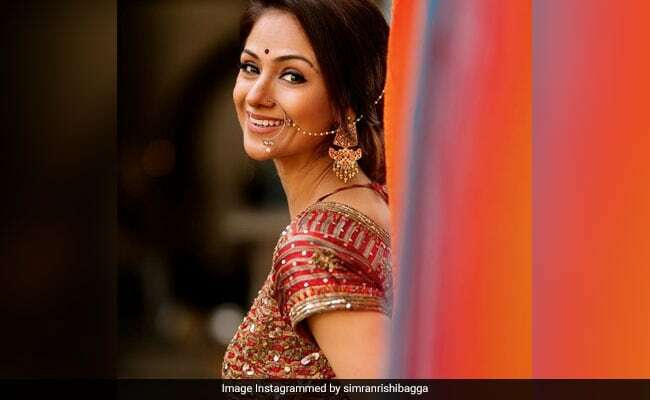 After working successfully in Hindi, Tamil, Telugu and Malayalam films, Simran Bagga is back and plays Rajinikanth’s love interest in his new blockbuster Petta. The 42-year-old actress, who has two children, looks stunning and says it is rare getting a glamorous role at her age. Q. Firstly, I want to know how you have managed to not age by even a day in the 15 years I’ve known you? A. (Laughs) I am just trying to eat, sleep and live well. It’s more about feeling good than looking good. It’s not easy after two children. After my second child, I had to lose a lot of weight. It wasn’t easy. But once you decide you need to look after yourself — not to look good but to be healthy — it becomes easier. A. It is definitely a comeback of sorts. It is my first film with the Thalaiva and therefore, it’s a big deal for me. And when people are saying I have a better written role in Petta than Rajini sir’s heroines usually have, I am even happier. Audiences are happy that Simran (she slips into the third person) is seen with the Thalaiva for the first time and they look so good together. I may not have much footage in the story, but it is rare for an actress my age to be given such glamorous role. The romantic angle between Rajini sir and me has been so well-handled. I’d say the relationship comes across as ageless because of Rajini sir’s aura. It doesn’t matter whether he is in his Sixties and I am in my Forties. It is only the beauty of their compatibility that shines through. Looking at the film as a member of the audience, I liked seeing this pair. A. Being a wife or a mother or 40 should not be the criteria for a heroine to get a role. I am very proud to be a wife and mother. It is an essential part of being a woman as far as I’m concerned, but these roles must not define my professional decisions. Of course, I have major responsibilities beyond my profession now. But it becomes easier to balance one’s personal responsibilities with one’s profession when you have a supportive family.